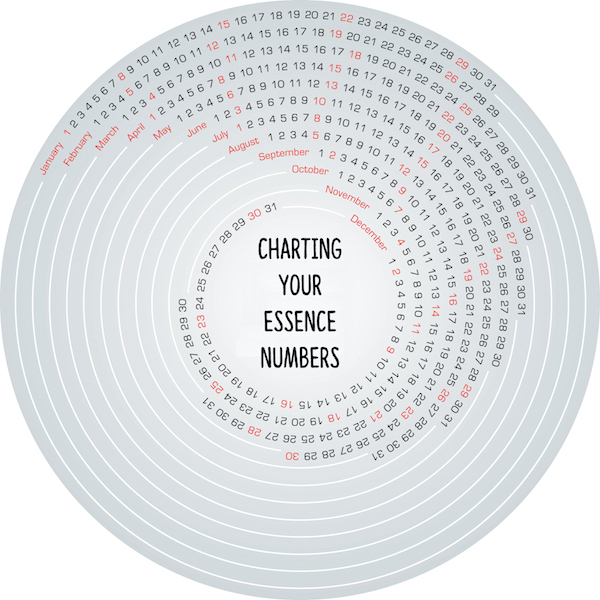 As reading the transits of the Essence Numbers is such an intuitive art we are going to take you back to the fictional example of Sue Ann Dunn that we used in the Calculating The Essence Number post. At the age of nine, the transit shows a pivot in circumstances that may have changed her entire outlook on life. As the transit is short and involves the master number 11 chances are that whatever the incident was, it shook her faith in others or a higher power. The other reading for this year (1969) is an Essence 2, which indicates frustrations, obstacles and setbacks. It is likely this setback was a parent’s divorce. Her eighteenth year (1978) is represented by Essence 1, which means that this individual achieves a brand new, happy start in life. This number emphasizes successful ventures, good ideas and “coming into one’s own. It is one thing to do a short fictional chart. As mentioned before this Essences chart done for the fictional Sue Ann Dunn was invented for teaching purposes only. In the next post we will be giving you an example of a chart based on a real life celebrity – Kurt Cobain (who ended his life at age 27) to take you comprehensively through the process of doing such a chart.